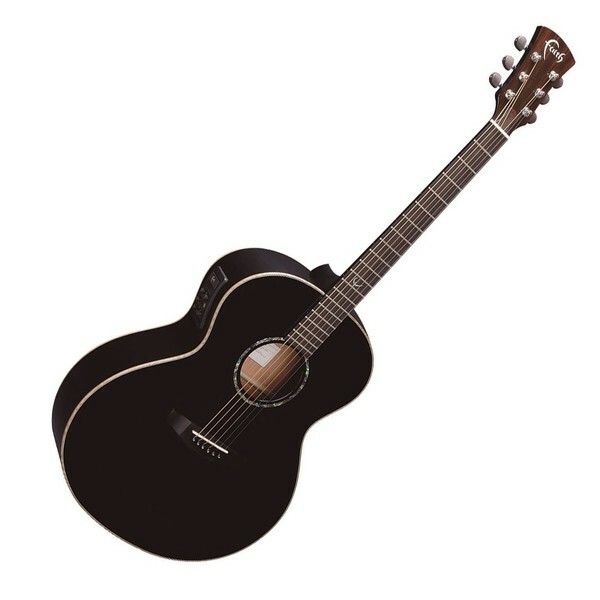 The Faith Eclipse Neptune Baby Jumbo Electro Acoustic, Black Gloss was built specifically for the performing musician, offering a sonically-versatile combination of solid timbers, on-board electronics, comfortable playability and a stage-worthy appearance. With a solid engelmann spruce and solid mahogany construction, the Faith Eclipse Neptune delivers a broad dynamic range with crisp articulation, a warm, full, resonant tonal output, and emphasis to the bass and treble tones. In addition, the Eclipse features a scaled down jumbo body also known as the 'baby jumbo' with a 16'' lower bout, providing the player with the sonic-power of a traditional sized jumbo but with comfortable, easy playability. The combination of its Neptune body and solid timbers responds superbly to numerous genres and techniques with ease, ideal for the player craving versatility. Furthermore, the Eclipse Neptune comes equipped with a Shadow Stereo preamp and Shadow Nanoflex 6 pickup, perfect for live and studio performance. The Faith Eclipse Neptune features an entire solid wood construction for a superior tone and incredible dynamic response. 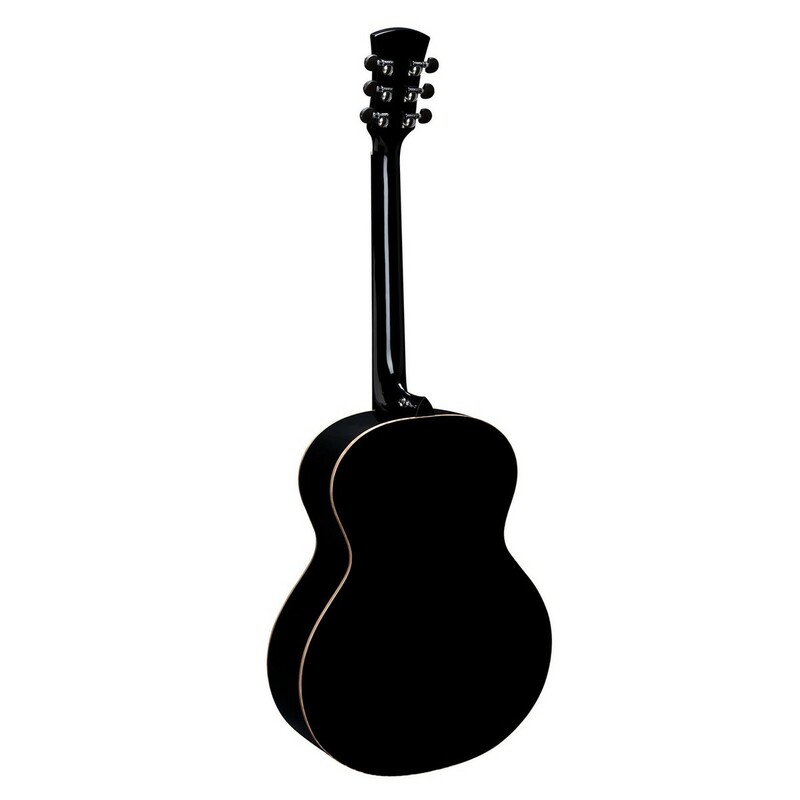 Its solid engelmann spruce top yields crisp articulation and a slightly richer mid-range than sitka spruce. The solid top's smooth tone provides a versatile soundboard that is able to accommodate numerous genres and techniques with equal ease, from a variety of picking styles to heavier strumming patterns. Furthermore, the solid engelmann spruce top is attached to solid mahogany back and sides that add warmth, resonance and plenty of emphasis to the bass and trebles, providing the player with a rich, complex, and full-bodied sound that is more well-known as the 'classic' acoustic voice. With a neck constructed from mahogany, the Eclipse Neptune offers a quick and dynamic response with plenty of warmth and resonance. Mahogany's nature allows it to respond superbly to numerous playing styles and techniques with ease, perfect for getting creative and unleashing true potential. Furthermore, the neck is topped with an Macassan figured ebony fingerboard that adds ringing sustain, plenty of bite and a bright sizzle to the guitar's overall tone. For added aesthetic appeal, the fingerboard also features Faith's majestic 'F' logo placed on the 12th fret and inlaid in mother of pearl for an elegant look. The Faith Eclipse Neptune features a scaled down jumbo body, providing the player with the same powerful voice that a full-sized and more traditional jumbo can project, but within a more comfortable size. Removing the bulky body and replacing it with a slimmer, more compact size and a 16'' lower bout also provides comfort, and sonically produces plenty of balance, definition and superb acoustic volume. Furthermore, with its sonically-powerful body, combination of solid timbers, and legendary Patrick James Eggle bracing, the Faith Eclipse Neptune delivers a harmonically-rich tonality that is expected on higher-end instruments.